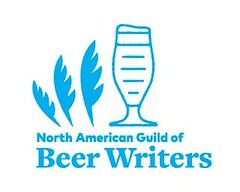 So, my return to beer blogging might be in order. 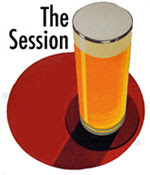 The Session is an online event, hosted by a different beer blogger on the first Friday of every month. Writers from around the world produce articles on a common theme. 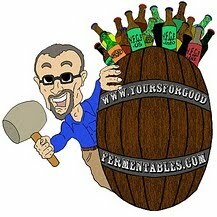 UK blogger Stonch at Stonch's Beer Blog is the 4 April host; a round-up of all participating posts will be published there. Enjoying beer is as much about people as it is malt and hops. The term "social lubricant" has always seemed a little too euphemistic to me, so lets be honest: having a few pints and getting merry is bloody good fun. That's why we do it. It's ten times better when you're with good mates, or meeting interesting new people. I've made lots of new friends in my favourite pubs and through my involvement in the beer industry. From the most skillful brewers to the louchest boozehounds, they're the reason why I keep doing this. On Friday 4th April, the date of the next Session, I'd like you to write about people. Choose someone you know personally. That person might be a brewer, a publican, someone who sups at your local, or maybe just a friend who is passionate about beer. Let's read some pen portraits of your companions on the path to fermented enlightenment. What other topics have been covered in The Session? How do you host a The Session? Who 'runs' this thing? Click on The Session: Beer Blogging Friday for more information. Hi Tom. Stan Hieronymus of Appellation Beer came up with the idea originally. Jay Brooks has written about the full explanation of the event, including details on how to host. He also provides a handy list of all the topics that have been chosen so far, with links to the relevant round-up posts - see here.